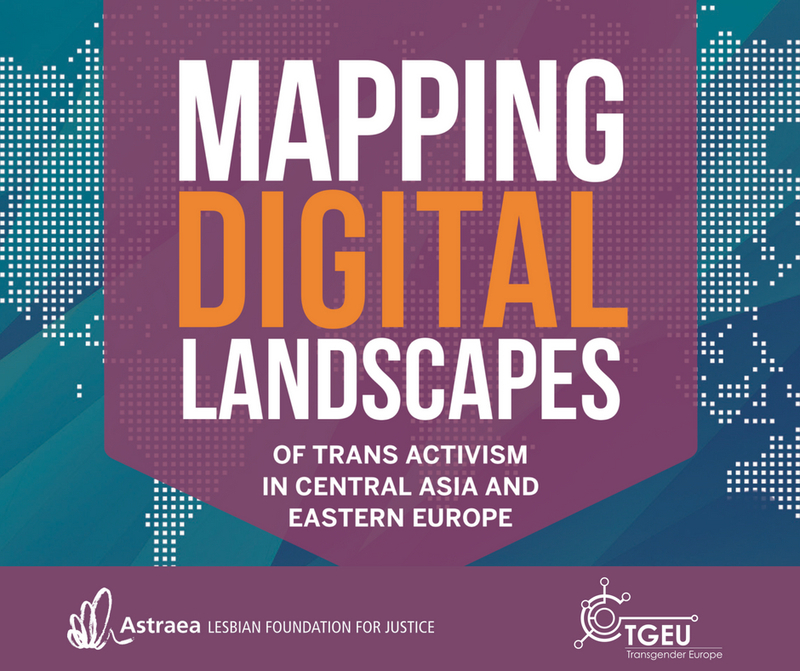 Astraea and TGEU are proud to release a new report, Mapping Digital Landscapes of Trans Activism in Central Asia and Eastern Europe. To access a version of the report translated into Russian, click here. P.S. Mapping Digital Landscapes of Trans Activism in Central Asia and Eastern Europe is part of a wider series of Astraea’s country-specific research reports mapping out the landscape of political, economic and social conditions for LGBTQI activism around the world. To read reports covering other regions of the world, including Southern African and Latin American countries, please visit our publications section. This is the first report to focus exclusively on the state of digital organizing and LGBTQI activism. *In this report, the term “trans activists” refers to trans people who are actively working towards empowering trans communities and fighting for trans rights either in formal structures such as trans rights NGOs or LGBTQI NGOs, or in less formalized settings such as initiative groups, or as individual voices visible and known to trans communities within their respective countries. **We use this acronym to include countries in Central Asia, Caucasus, Post-Soviet Eastern Europe, South-East Europe and Central Europe; countries under review are Albania, Armenia, Azerbaijan, Belarus, Bulgaria, Croatia, Czech Republic, FYROM/ Macedonia, Georgia, Hungary, Kazakhstan, Kosovo, Kyrgyzstan, Moldova, Montenegro, Poland, Republic of Bosnia and Herzegovina, Romania, Russian Federation, Serbia, Slovakia, Tajikistan, Turkey, Turkmenistan, Ukraine, and Uzbekistan.